As we enter the thick of awards season, filmmakers and publicists are very busy trying to get attention for their fall releases. But it's worth remembering that the year is 12 months long and has already delivered Oscar-worthy fare. 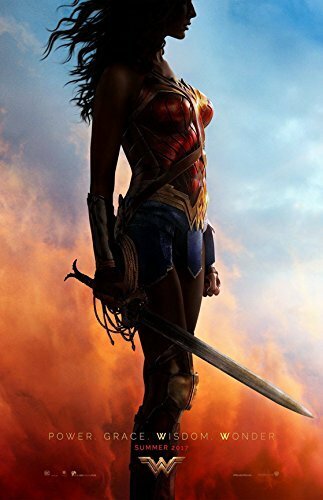 One such example is Patty Jenkins' "Wonder Woman", a summer box office hit that was an unexpected critics darling and sparked significant Best Picture talk. "Wonder Woman" is the origin story of its titular character, a member of the famed comic book superhero team known as the Justice League. But before becoming one of Earth's most vital protectors, she was just Diana, a gifted child growing up around a civilization of women called Amazons. These women are fierce warriors created by the god Zeus to protect mankind. After man was irreparably corrupted by war and hate however, they retreated to the secret island of Themyscira. But one day in 1918, a mysterious American man stumbles upon them, bringing the ongoing World War with him. With her world and that of the humans now under threat, Diana must venture out into to fulfill her personal mission to stop the forces of evil and restore peace. As Diana embarks on her adventure, "Wonder Woman" essentially shifts between 3 different films, of which the first is the best. The opening act is a coming-of-age fantasy tale, as we are introduced to the mythology surrounding the Amazons and Diana herself. Handsomely shot, it provides effective world-building as it captures the untouched beauty of Themyscira. This segment also offers the most thrilling action sequences through its training montages and the aforementioned invasion. The awesomely choreographed athleticism is truly something to behold. The film gets increasingly more familiar after this promising start however. Still, it never fails to keep your attention thanks to terrific performances from Chris Pine and Gal Gadot. The former is effortlessly compelling in his role as both an Allied spy and Diana's eventual love interest and partner. He has excellent chemistry with Gadot, who once again proves that she was indeed the right choice to play this beloved character. She has the perfect combination of girlish naivety and womanly strength that pays off wonderfully in the middle act's "fish out of water" humor in London and an enthrallingly feminist scene in the aptly named "No Man's Land". Subsequent to this World War I subplot, the film unsurprisingly devolves into the usual explosive battle royale between our heroine and the "Big Bad" that often garners Oscar nods for Best Sound Editing, Best Sound Mixing and Best Visual Effects. But even within this formulaic conclusion, there's an unabashedly moralistic message that distinguishes the film from the typical superhero film. Despite her incredible powers, Wonder Woman is more importantly a beacon of goodness and love. And this sentimentality is ultimately refreshing in a genre that usually caters to the "cool" bravado that appeals to young men. "Wonder Woman" is funny and thrilling, but it also has a sweetness and sincere romance at its core. In other words, it's a comic book movie that anyone can enjoy. I know I did. With a record 170 films in the running, there’s no doubt that the Oscar race for Best Documentary Feature will be one of this year’s most competitive. And with many esteemed films in contention, the category is high on quality too. In a few months we’ll know which 5 of these the Academy deems the best, but prior to the nominations, this unwieldy longlist will soon be whittled down to 15. Predicting which films will make that shortlist is no easy task however, as the Academy’s Documentary branch is known to throw curveballs every year. But after observing the festival and awards circuit thus far, there are some clues as to which films are generating buzz. Here is our take on the main candidates for this year’s Oscar shortlist for Best Documentary Feature. "Pain is here." This line is taken from "Queen Sugar", a TV drama set in present day New Orleans which recently concluded its phenomenal 2nd season. But it could just as easily have come from Dee Rees' Mississippi-set period drama "Mudbound". In this powerful new film, two families - one white, one black - experience the pain of racism that is inextricable from the history of America and particularly its Southern states. The aforementioned quote is a response to a plot-line involving the display of Confederate symbols in a well-heeled private school, which seems to bother only its few black students. In similar fashion, "Mudbound" opens with a scene where the deep roots of racism stare its characters in the face. A pair of brothers are digging a grave for their deceased father, only to encounter remnants of a murdered slave already laying there. Over the course of this film, we learn of the events leading up to the racially frought circumstances of this burial. It involves the McCallans, a white family trying to build a new life as farm owners in 1940s Mississippi. The family includes Laura (Carey Mulligan) and her husband Henry (Jason Clarke), as well as his charming younger brother Jamie (Garrett Hedlund) and severely racist father (played to bone-chilling effect by Jonathan Banks). As they struggle to run a successful business amid imperfect rainy conditions, their lives intersect with the Jackson family, who are sharecroppers with ties to the land that extend back to slavery. Hoping to eventually buy their own land and provide for their family, Hap (Rob Morgan) and his wife Florence (Mary J. Blige) work tirelessly for the McAllans. But as World War II looms, both families will become even more connected, in ways neither could have anticipated. Indeed, when Jamie and the Jacksons' eldest son Ronsel (Jason Mitchell) return from the war, the lives of all the characters are changed forever. While both are war heroes, Jamie suffers from crippling PTSD and Ronsel comes "home" to a society that treats him as a second-class citizen. The latter's experience is especially fascinating, as the astute script (a surefire Oscar contender for Best Adapted Screenplay) starkly underlines the irony of being embraced more by the "evil" German enemies than his own countrymen. As with similarly themed dramas, Ronsel's family faces unconscionable injustices as his enlightened perspective stokes the flames of hatred in the community. But the toil and suffering is only part of the story. Indeed, "Mudbound" captivates audiences by also exploring the better world that could have been. Through the unlikely friendship between Jamie and Ronsel (played with sincere chemistry between Hedlund and Mitchell), we see the capacity for human kindess that is still to be fully realized today. Likewise, the empathy shown by Laura and the strength of Mary J. Blige's Florence (a possible contender for Best Supporting Actress) is deeply felt. And there are other standouts in this stellar ensemble, as the poetic narrations allows their varying perspectives to resonate. 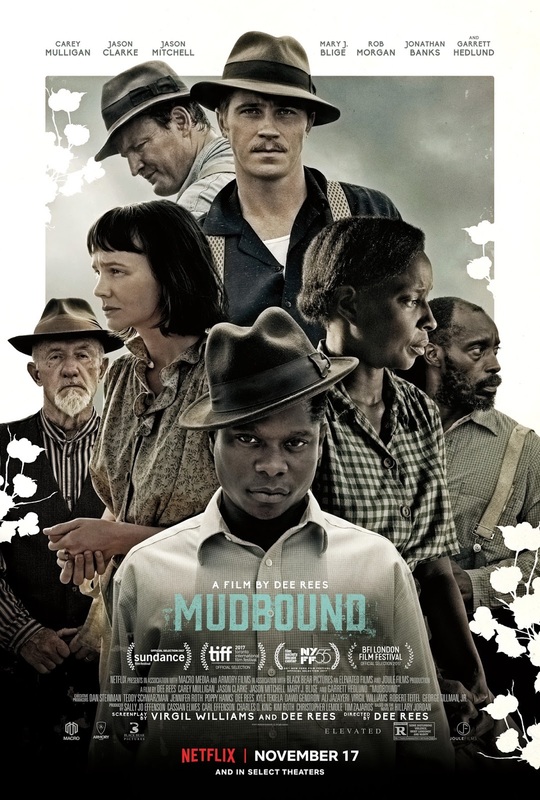 Indeed, "Mudbound" is a poignant film that will surely remain in the conversation in the coming months (look out for potential history to be made in Best Director and Best Cinematography). At once intimate and grand, bleak and hopeful; it has the feel of an American classic. This Best Picture contender is "prestige cinema" done right. For reasons good and bad, there’s been a lot of talk lately about women in the film industry. Notably, Hollywood has been rocked by recent sexual harassment scandals in the same year that Patty Jenkins-directed “Wonder Woman” conquered the summer box office. While the picture isn’t perfect overseas, the Foreign Language Oscar category continues to be a beacon of positivity. Just last year, we celebrated a record number of submissions from female directors, yielding a nomination for Maren Ade’s “Toni Erdmann” in the process. And now, that milestone has been smashed, with 26 women-directed films being chosen to represent their countries. Only three women have ever helmed winners in this category, but hope springs eternal with this talented group. Here’s a deeper look at these films and the directors attempting to follow in the footsteps of Marleen Goris, Caroline Link and Suzanne Bier. If you’re still looking for proof that #OscarsSoWhite, look no further than the history of the Oscar for Best Foreign Language Film. Unsurprisingly, this category has been overwhelmingly dominated by European films, with 56 winners from the region. In comparison, you can count the African winners on less than one hand, with only three winners to date. The under-representation of African cinema could also be explained by the low number of entries, however, as only a few countries bother to submit films each year. But as this year’s slate proves, there is no shortage of talented African filmmakers. Here’s a closer look at the eight African films vying for Oscar attention. Less than a year after the historic “Moonlight” win at the Oscars, its influence is already being felt. Indeed, if the 2017 race for the Foreign Language Oscar is anything to go by, queer cinema will once again be at the forefront of awards chatter this season. Like “Moonlight”, these acclaimed films are bringing new LGBT perspectives to the screen, representing a diverse spectrum of genres and countries from across the globe. Here’s a look at the 6 submissions hoping for some “Moonlight” afterglow.